Why Major in American Studies? The American Studies Program awarded undergraduate degrees to 53 students over the summer and fall of 2017 and the spring of 2018. Congratulations to our majors for their accomplishments, and best wishes to them in their future endeavors. 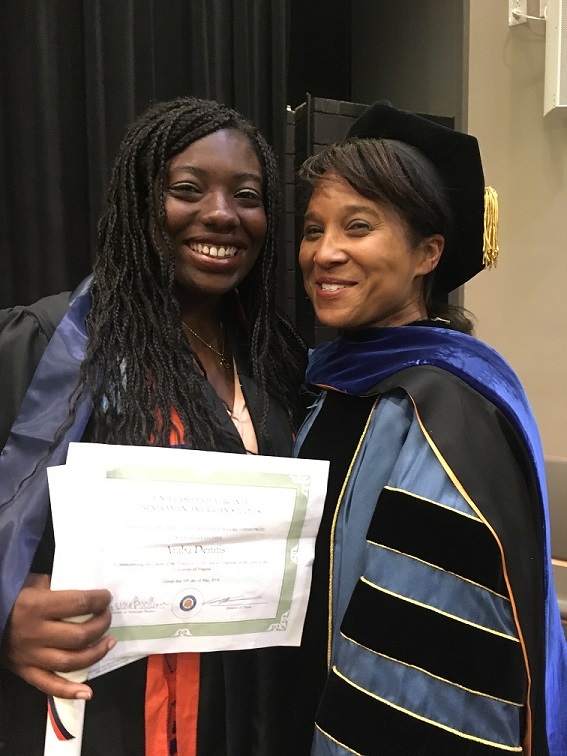 Additional congratulations to Araba Dennis (pictured, with Professor Carmenita Higginbotham), who won the program prize for best undergraduate thesis.